Astbury Marsden is proud to be supporting International Women’s Day 2018. Caroline Crutchley who leads our Human Capital Search Team had the pleasure of interviewing Juliette Murray. 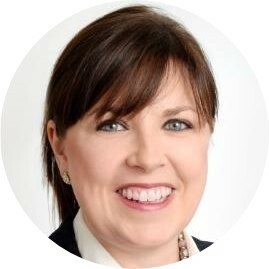 By applying her search methodology Caroline placed Juliette as a Director for People & Change in the National Markets team for KPMG based in London in November 2016. This interview provides great insight for anyone aiming to secure a Director Grade role in a BIG 4 Management Consulting Advisory firm in London. The focus of this years IWD is #pressforprogress, how did you press for progress to gain the role you are in today? "The first thing you have to do is believe in yourself! My experience of interviewing women is we are all very critical of our capabilities, men are not! The turning point for me was being honest with myself and recognising my capabilities to be in the role I’m in today. To make Director Grade you have to understand what others are looking for. It is not always about making numbers and sales and being the best when delivering on client work. Do not be afraid to take a chance on a move to another company to make the next step, it’s hard for women to stay in one firm and progress. Even if you get the title you do not get the same respect. Go to a new firm present yourself in the way you want to be respected. Show up in a new environment and be the person you want to be. Be humble! Don’t judge someone just on there LinkedIn profile!!" What advice would you have for female Senior Mangers wanting to make Director grade in a BIG 4 consulting firm? "Taking the step up to director level starts with having an amazing network, and working it to your benefit. It's about remaining true to yourself, and demonstrating how you lead, and what role you'll play as part of that leadership team." Director grade positions within management consulting seems to be weighted towards males, do you have any advice for how to progress in this environment with out having to comprise your values and identity? "This can be a positive if you align yourself with firms that have a strong culture of women in leadership roles. Avoid firms with a ‘boys club’ culture. Don't compromise, be smart and play the game!" What do you think will be the biggest challenge for future generations of women in the workplace? "Getting more women into leadership roles takes time, and the pace of change is very slow. The younger generation have a greater expectation that their opportunity is going to happen quickly. I think the graduates entering the workforce now will be the first generation to see equal representation of the sexes in leadership." Have expectations in society impacted your chosen path as a career woman? "No, I bucked the trend. My first degree was surveying and then I qualified as a Barrister specialising in typically a male dominated aspect of law. I wanted to show that as a woman, I could be a success in a male dominated environment." How do you personally benchmark your career progress? "Partly validation from my professional network and from people that contact me saying they enjoyed working with me and would like to again. You want people to believe in your vision and be part of your team. I used to be hard on myself, thinking I would be a Partner by now if I’d played the game right. However I now feel I would have missed out on many rich experiences along the way." Quote – Best way to press for progress..? "Enjoy the journey! Have as many interesting and great experiences as possible on the way and have fun - it is not a race." Globally, there has been great activism for women's rights and equality (#MeToo, #TimesUp) has this had any direct impact on you as a women in the workplace? "No, at the end of the day, the person with the best skills and experience should be hired for the job. There has been great success removing genders and names from CV’s."